In the Gospel lesson, John, one of the innermost circle of Jesus’ disciples, complains about a man who was casting out demons in the name of Jesus but who was not one of Jesus’ select group of twelve. Today we might say that he was not on a clergy roster, or a seminary-trained and certified professional church employee. Jesus responded in a way that is remarkably unconcerned with following institutional sanctions. He indicates that such unauthorized activity is okay. God doesn’t always do God’s work through officially approved channels. And not only is Jesus okay with this, he seems happy about it. In fact, it appears that his work casting out demons was as important and legitimate as what the select group of twelve were doing. 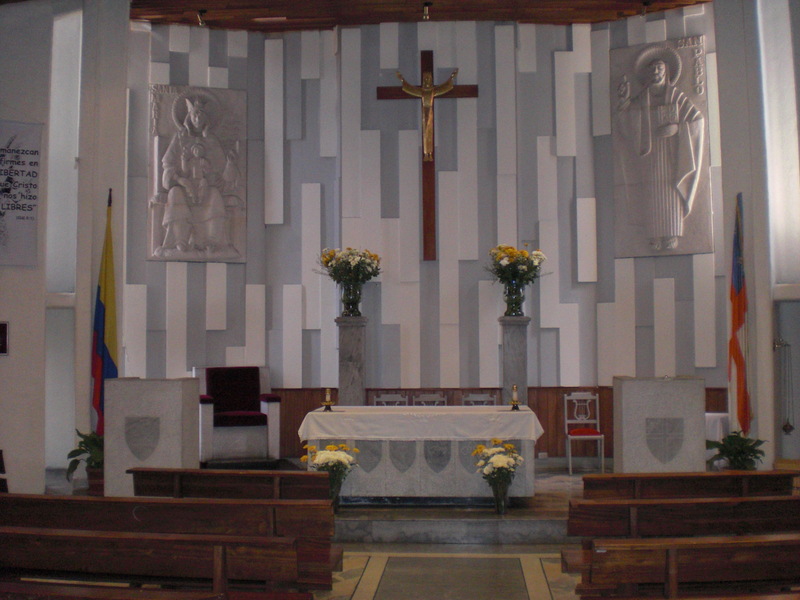 In September, I started offering weekly worship services in English at St. Paul’s Cathedral in Bogotá. In addition to doing the routine prep work for weekly services, I have been spending a great deal of time doing outreach and have been busy working on weekly sermons. At one point, I found myself reflecting on the idea of a sermon. As you’ve probably noted from pervious blog entries, I tend to read and have made a hobby of history. In Latin America, when I think “history,” I think of indigenous cultures, conquistadors and Jesuit missionaries. Of course, that’s an over-simplification, but you get the idea. As I reflect on sermons, I also think about those 16th & 17th century missionaries, and am reminded that the first sermons preached here by Christians were conversion tools. Missionaries preached to convert the Indians to Christianity. I’m confident they preached with great passion, as they believed the souls of the natives they encountered depended on their conversion. While it may sound pejorative to some people to refer to a sermon as a “conversion tool,” I don’t believe there is anything inherently wrong with a sermon as a conversion tool. In fact, I suspect many of us think of a sermon as a conversion tool today … just maybe not in the same way as our missionary predecessors. I know there are times in my life when I heard a sermon that moved me so much that I was “converted,” seeing something differently, shifting my perspective, being transformed in some way that was different from how I thought and felt before the sermon. I’d also like to think that some of my words, mingled with the action of the Holy Spirit, have helped people think anew about particular issues. I suspect that when most of us ponder the idea of a sermon, we think of a clerical exposition on a biblical, theological, religious, or moral theme. Sermons can be based on scripted preparation of notes or text, extemporaneous, based on preparation and limited notes, or impromptu, responding to the spirit of the moment. Sermons often include the preacher’s stories and experiences, both past and present. In seminaries, students are taught to write the three-point sermon, which, depending on your particular perspective, is likely to mean the making of three specific points of exposition, exhortation and practical application. Typically, sermons are delivered by an individual called to ordained ministry in the church. But, a sermon doesn’t have to be delivered by an ordained person. That said, however, in many traditions the authority and right to preach in the context of regular weekly worship requires some form of hierarchical approval. I believe the word “sermon” originated from the Latin word sermo, which means discourse. The word can also mean conversation. Since some people believe early sermons were delivered in the form of question and answer, as opposed to modern-day monologues, the idea of a conversation, or a form of interactive discourse, makes a great deal of sense to me. The word sermon can also be used pejoratively. For example, we speak of people “sermonizing,” and we tend to refer to long, boring, political speeches delivered with excess enthusiasm and passion as sermons. In high school, one of my history teachers used to write on my papers, “good sermon, Rev. Gaiser.” In his case, I suspect there was a bit of acknowledgement of a possible call to ordained ministry along with a little sarcasm in that my primary task as a history student was not to sermonize. 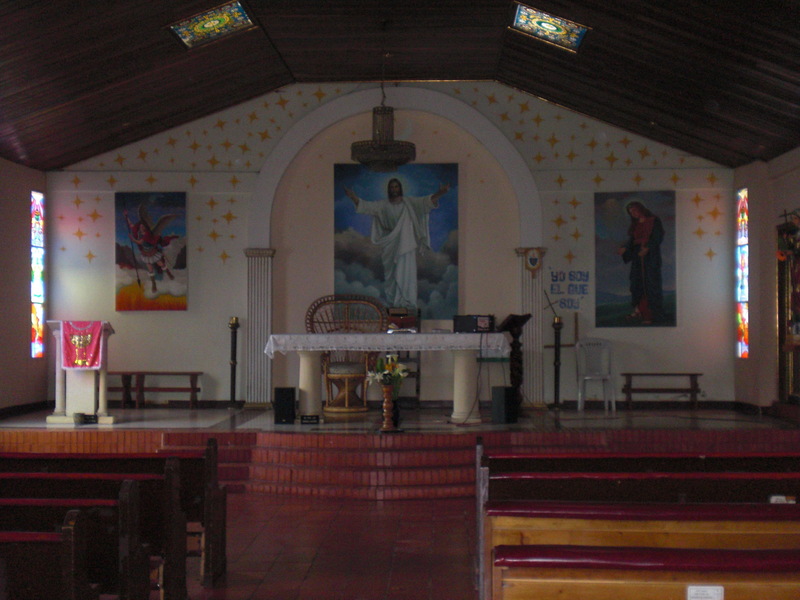 Note the pulpit on the left. In Christianity, a sermon, also referred to as a homily in many traditions, is most often delivered in a place of worship, typically from an elevated pulpit.The elevation is meant to bring attention to the importance of the preaching of the Word of God. However, today many people also preach standing on the floor in the nave, the main body of the church, or from the center of the chancel, the area at the front of the church reserved for worship leaders such as the clergy, lay readers and the choir. A chancel is typically raised a few steps to separate it from the rest of the nave, and most often separated by a rail, screen, or open space. Note the steps into the chancel. … I was clear [with my Bishop] that I didn’t need to be ordained to engage in ministry, because I believe we are all called to ministry through our baptism. My call to ordained ministry was something different. 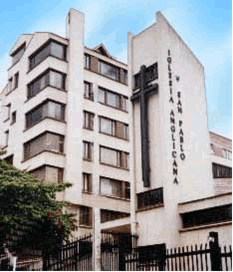 It was a vocational call to serve and support God’s people. It was, and is, a call to empower God’s people to engage in ministry. One way I try to do that is to offer my experience as a witness, sharing how I grow in my relationship with Christ by engaging in ministry … hopefully, enabling God’s people to gather around the altar, join together as the body of Christ, and do likewise, engaging in their own ministries … ultimately, engaging in God’s mission in this broken world. In the name of God … Father, Son, and Holy Spirit. Amen. This has to be one of my favorite posts yet. Keep ’em coming. “Good sermon, Rev. Gaiser.” Still holding fast to that which is good… and still thanking you for the same!